This is another bourbon that shouldn’t need an introduction, but because new bourbonites tend to reach for what are perceived to be more ‘fashionable’ brands, Knob Creek might get overlooked. 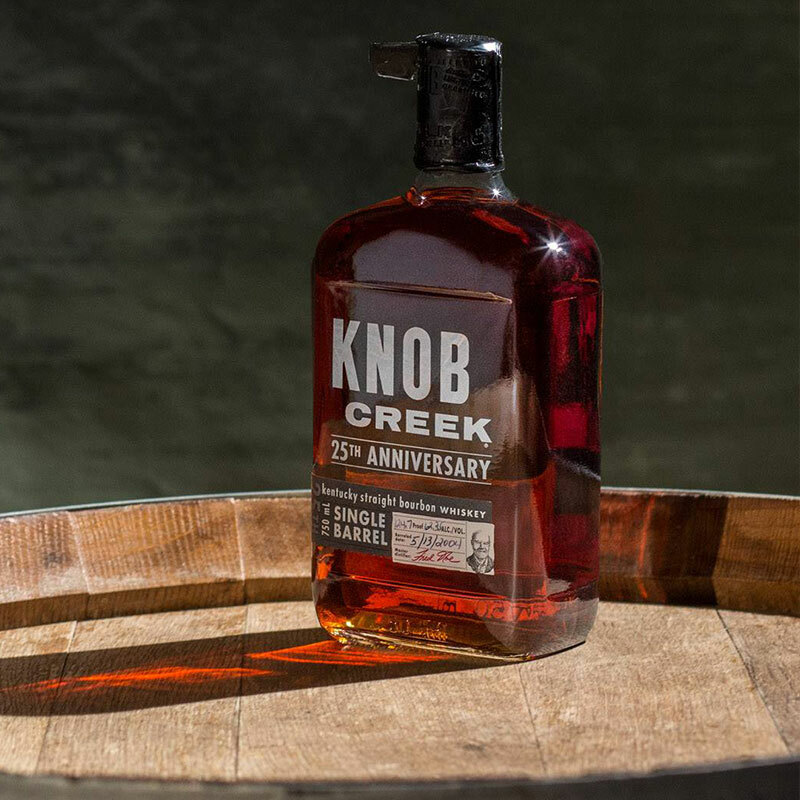 For some, Knob Creek is one of those that ‘just gets the job done’. Knob Creek is the brainchild of one of my favorite bourbon personalities – Booker Noe – and rounds out the Jim Beam Small Batch bourbon collection (the other brands are Bakers, Booker’s, and Basil Hayden). Like its brand colleagues, Knob Creek has a traditional high-corn mash bill with 15% rye (the same as Jim Beam). The label is inspired by the decades-old custom of wrapping finished bottles in newspaper at the distillery. Ours was wrapped in a newspaper from October 23, 1935. Not sure if this is standard or if the dates change. If you have a bottle in reach, let me know in the comments section! When Booker Noe crafted this bourbon, he wanted it to be reminiscent of the ‘old days’ of bourbon production – that is pre-Prohibition bourbon, before mass production was implemented. The first sip of Knob Creek starts out with a clean, citrus, mouth-watering zest. Although it is 100 proof, it carries itself like a lower proof bourbon. Could just be because I have punished my palate with stupid-high proofs over the years. It opens up with mint, lemon peel – transforming the wood flavors that you would typically find in well aged bourbons into a cedar-like flavor. This would be a good bourbon to start a meal off with. In the middle of the tasting, new wood flavors appear – a probable effect of the bright, clean, early fruit flavors. Knob Creek finishes with flavors of bright under ripe fruit (lemon, lime, green apple). Knob Creek has a medium body, and if there were two overall elements that persist throughout the tasting, they would be sweetness and spice. But despite all the descriptors above, Knob Creek is notably muted. The flavors are hard to pick up in both the nose and on the palate. I know some of you will disagree with this assessment, so leave your own tasting notes below. But at a typical cost of $37 a fifth, I can think of better labels to keep on the shelf. If you haven’t done so already, try a pour at your favorite bar and let us know what you think! Knob Creek is a decent sipping bourbon, and can be a decent mixer as well. But for my taste, Knob Creek lacks the forward flavor that bourbons are typically known for carrying. For these reasons, I give Knob Creek a C+. Find out how we grade bourbons. I really love the blog. However, I think this rating is ridiculous. There is nothing mediocre about Knob Creek, which is what a C grade implies. Apart from the rare, hard to find bourbons such as Pappy, George T Stagg, and William LaRue Weller, Knob Creek is one of the better bourbons accessible to that average buyer. It is definitely on par with Woodford Reserve, which you have rated an “A.” It was awarded the “Gold Outstanding” medal at the 2015 International Wine & Spirits Competition, the highest honor you can receive. Compare that to William LaRue Weller and George T Stagg which received Silvers. Knob Creek is a 100 proof whiskey with bold flavor, and yet it goes down smoother than pours with 20% less strength. I’m ok if you want to reserve “A” for the truly elite bourbons but Knob Creek deserves to be in the category just below that. Which is what it aims to do; deliver a world-class bourbon at an accessible price and availability level. Knob Creek, for me, is the bourbon that opened my eyes to what bourbon could be. It elevated my tastes above the Jims, Jacks and Evans. This stuff on the rocks is pure bliss. Lots of wood, lots of caramel and a smooth finish that belies it 100 proof. That being said, when it’s time to plunk down almost $30-$40 on a bourbon I always go with something else. Why? It’s not because I don’t like Knob Creek. I think it’s because I know that if I’m out at a decent bar or restaurant, this is usually their top shelf pour so I always order it out. When I’m standing on the bourbon aisle at my ABC, there are so many different choices that offer the same or greater enjoyment for the same or less money that you don’t find out at a typical restaurant or bar. those are the ones I buy by the bottle. Demitrius, I love your blog. Thanks for helping us newbies along. I find so much here that helps me in my growing search for the most satisfying bourbon pour. Knob Creek has always been that bottle that I look for every time I’m in the bourbon aisle but hardly ever buy. Why? Because I think a steal when it’s on sale for $25-30, but it’s rather overpriced at the typical retail price of $35+. It’s a solid whiskey, but it seems to have gotten a lot of hype over the past few years which has led to higher prices. I totally agree that it would be one of my first choices out at a restaurant with very few bourbon choices, but I can’t ever commit to buying a bottle unless the price tag starts with a 2. Love your reviews, but agree with Scott above – you seem a little harsh on Knob Creek, which I consider a “go-to” pour. Especially when in Kentucky, when it is routinely available in the mid-$20s. High proof and complex enough to mesh well with ice, KC and 4 Roses Small Batch or Single Barrel hit the mark for the mid-tier bourbons.